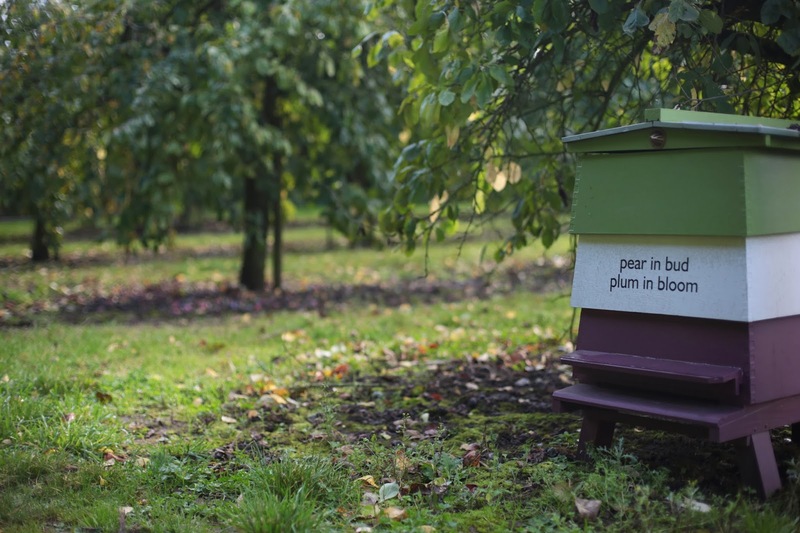 This Spring I installed a permanent sculptural record of the succession of blossom in some of the species of fruit trees cultivated at the National Fruit Collection, Brogdale. 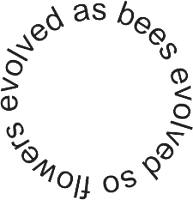 The natural order that these flora follow determines the feeding behaviour of bees. 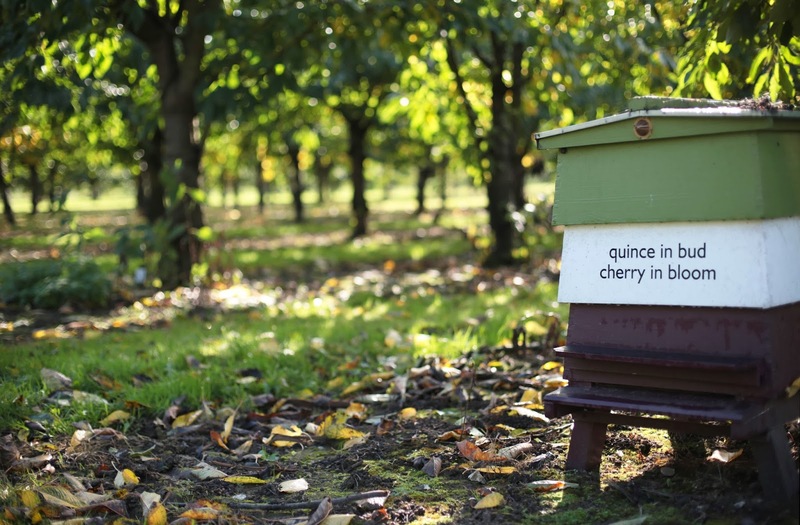 Succession is another reminder of the delicate equilibrium between species. 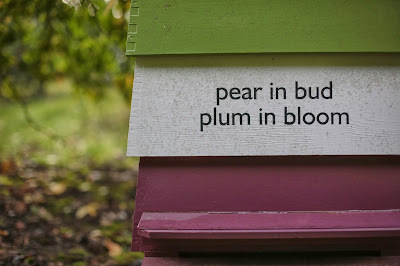 The long tongue of the bumble-bee is fitted to reach deep into the form of the peony. In his classic study Bees: Their Vision, Chemical Senses, and Language, Karl von Frisch notes the tradition of painting beehives, to aid bees in recognizing their home colony – his studies proved the benefits of this, revealing how bees navigate with their five eyes, based on their perception of colour. 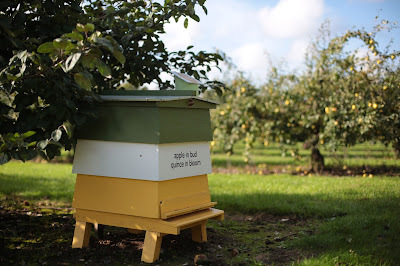 The artwork takes the form of 4 beehives, with a serial text. 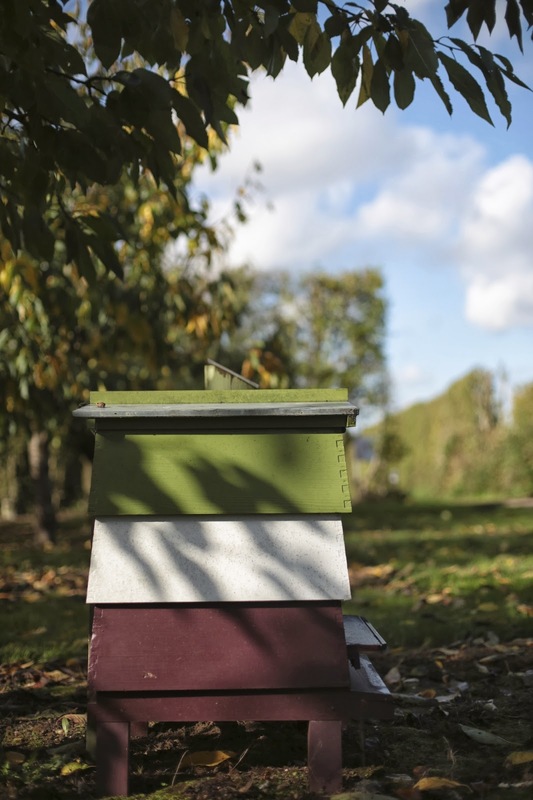 Each hive is painted in three bands of colour, true to the blossom, fruit, and leaf of the species. At Brogdale the succession of blossom and bud goes: plum, pear, cherry, quince, apple. 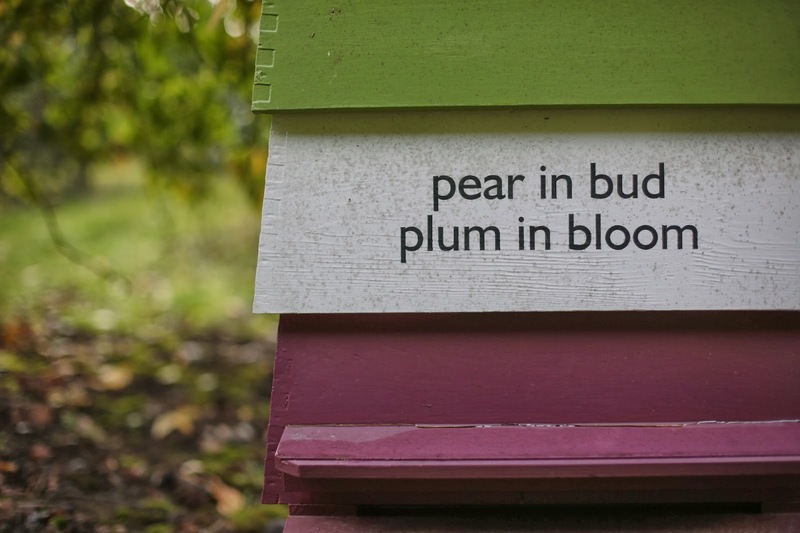 One of the inspirations for succession was this haiku by Basho, which perfectly captures a specific moment in Springtime. 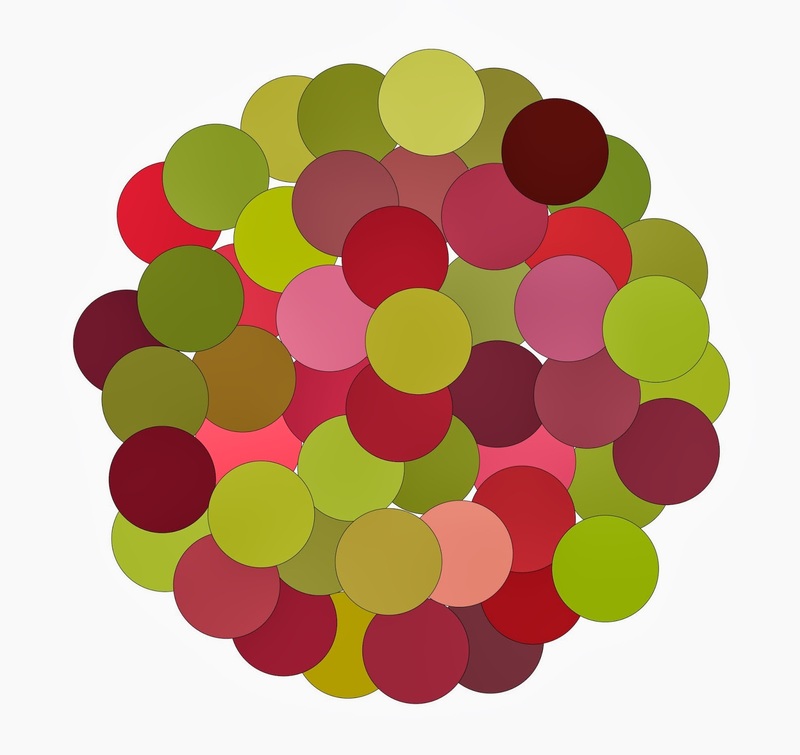 I first worked with Brogdale in 2010, composing a colour wheel for 50 native varieties, using their invaluable records. The ways in which we attempt to fix and standardize varieties, using size, taste, yield, and, of course, colour, has always fascinated me. 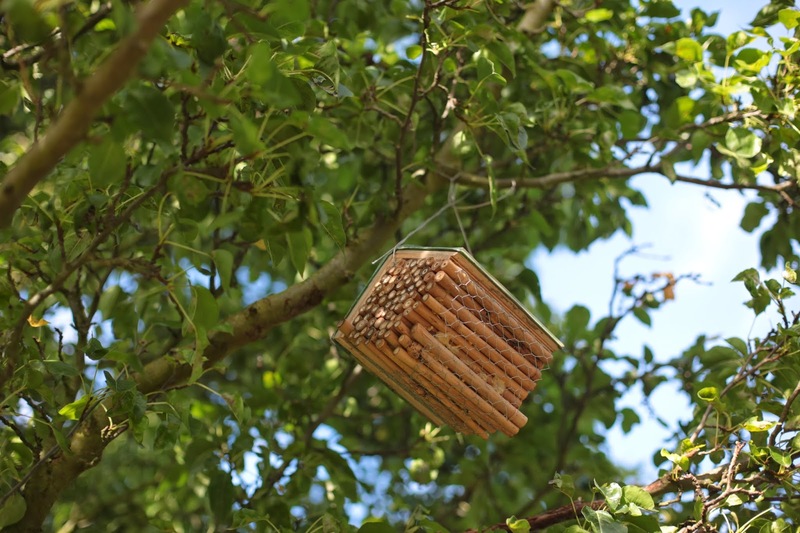 Nearby, within and alongside the Demonstration Garden, is the bee library, an artwork consisting of twenty-one bee-nests, each made from a book. 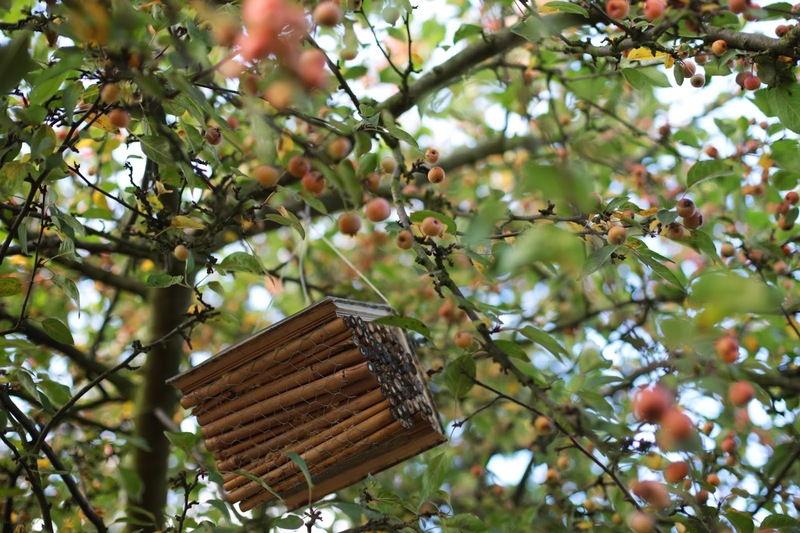 These hang in a row of ornamental trees, the nests providing shelter for wild, or ‘solitary’, bees. As I read these bee-themed books I took notes and composed poems, some of which have been published online, here. 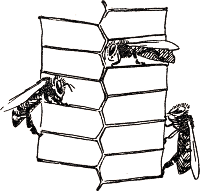 Afterwards, each book is converted into the roof of a ‘bee-hotel’ style dwelling, made of bamboo tubes and wire netting. 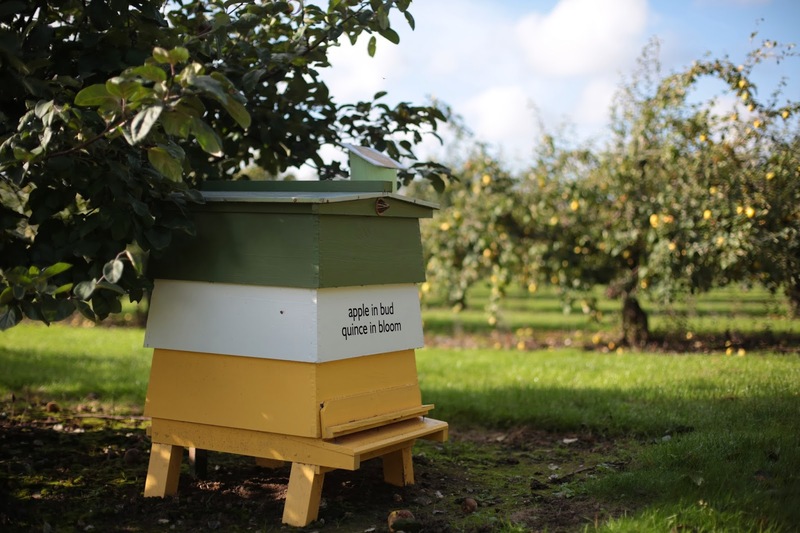 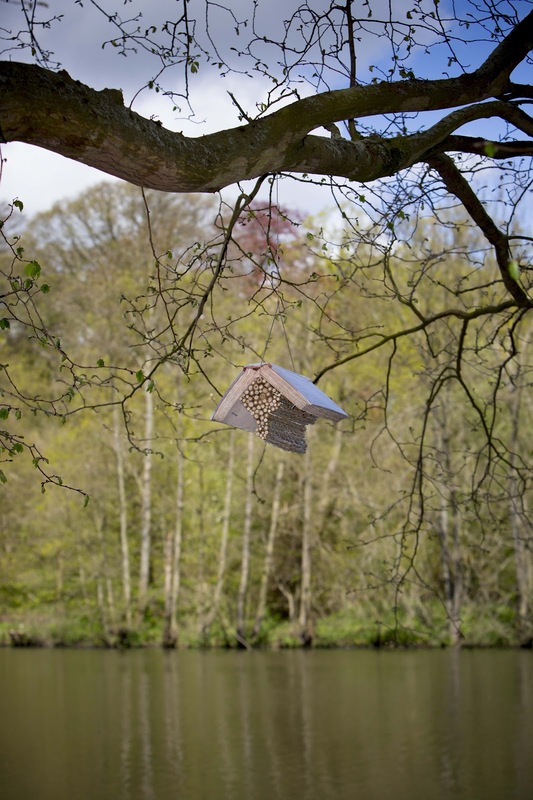 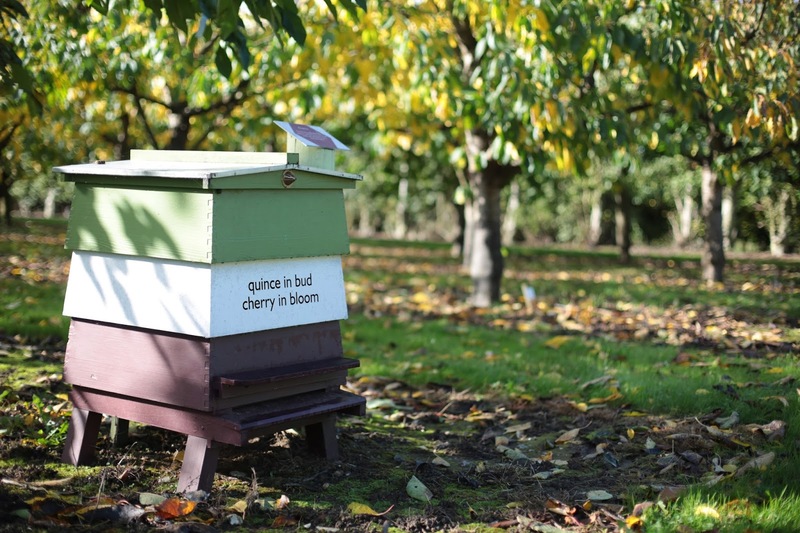 Similar bee libraries have been installed at Yorkshire Sculpture Park, Janet's Foss (Yorkshire Dales), and the University of Stirling. 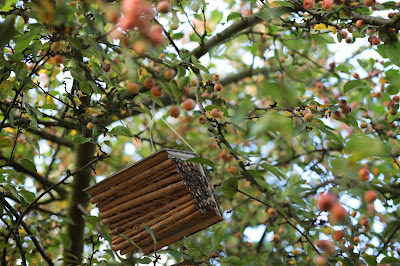 A single bee book nest, The Life and Opinions of Tristram Shandy, Gentleman, hangs in the apple orchard at Shandy Hall. 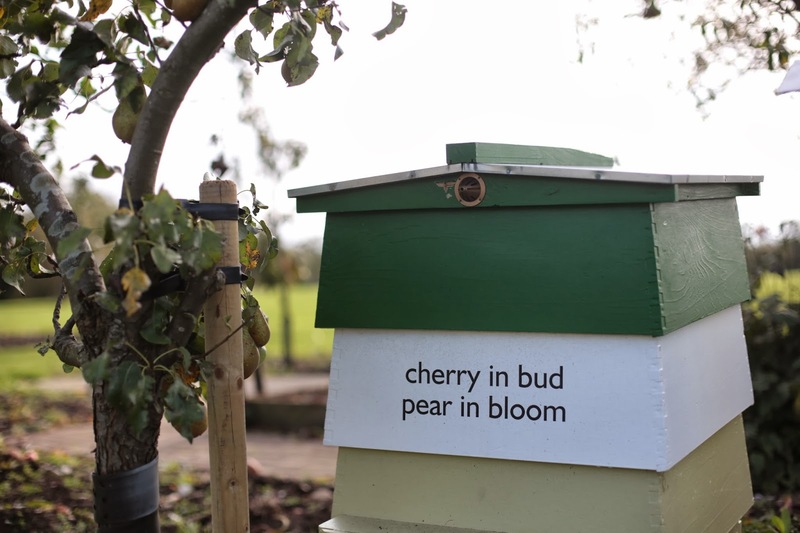 With thanks to Luke Allan, Ken Cockburn, Kimberley Campion, Hannah Devereux and Amy Porteous.